Quitting drinking today can change your entire future!! If you are ready to get started, and end the continuous miserable cycle of alcoholism, you have come to the right place! WELCOME! I have been down this journey myself and I am extremely grateful for every day that I do not take a drink. 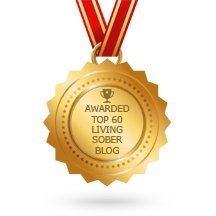 Getting sober is a wonderfully rewarding, yet a quite difficult process. The first steps are always the hardest, but all you have to do is just put one foot in front of the other. If you choose this journey you will gain strength, and knowledge, and freedom that you have never experienced. I would love to share a few things with you that may help you get started! Important note: If you choose to start the path to recovery, and if you have been drinking large amounts for a long time, it may be best to see a doctor, or check into a detox center, or your local hospital. Do not try to stop drinking suddenly — alcohol withdrawal can potentially be deadly. If you start experiencing severe withdrawal symptoms (panic attacks, rapid heartbeat, severe anxiety, the shakes) you should seek immediate medical assistance. The condition could potentially deteriorate to delirium tremens (DT’s), which is deadly, if left untreated. GET READY: If you are ready to start this journey, I would highly recommend that you get rid of any alcohol that may still be in your house. I would even recommend getting rid of the wine openers, the bottle poppers and all alcohol related glassware, and drink mixers. This will help you when you get triggered to drink, by making it a bit more difficult – it’s hard to open a bottle of wine without a corkscrew; this may give you enough time to change your mind about drinking it. THE BEGINNING. Be aware that first few days will be tough. Your neurons, which have been deadened by alcohol for some time, and now are all busy with activity, which means your body functions are trying to get used to their normal activity levels. Resting and sleep will probably be hard to catch for a couple of days as your body is adjusting. In the meantime, your brain will tell you lies: “It’s not that bad,” “I can just moderate better,” “I don’t really drink that much,” “I will feel better if I have a drink.” Call it a LIAR and go watch some late-night TV till it passes! Keep yourself busy to avoid wandering thoughts! AVOID DRINKING SITUATIONS. You know that saying, if you stand by the hot dog cart long enough, you will get a hot dog! Do not put yourself in situations where alcohol is the main event! This also pertains to people too; you might have to give up your old drinking buddies and the favorite watering hole. It’s really important that you stay away from all alcohol related activities to minimize your triggers and cravings, which unfortunately are a part of early sobriety. Alcoholism is very powerful disease, do not underestimate it!!! FIND SUPPORT. It may be the hardest part of your path to recovery. Like it or not, few people attain sobriety alone, and even fewer sustain it alone. Don’t feel inadequate about asking for help! Joining a support network like Alcoholics Anonymous, SMART Recovery, or Soberistas, or even telling your family and friends what you are dealing with, can be beneficial to your recovery process. 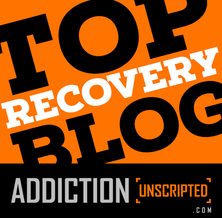 You can also start a blog and connect to the recovery community. There is lots of support online. 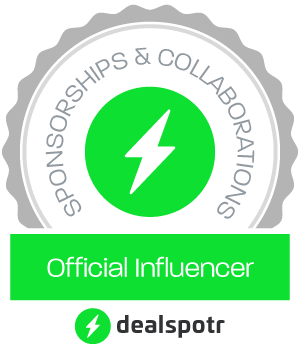 Check out Find Support link at the top of this page and Fellow Bloggers in the right sidebar. FEEL YOUR FEELINGS. Cry when you need to, and laugh when you can. Get angry if you feel like it. Eat when you are hungry. Sleep when you are tired. Most likely, you haven’t felt your feelings for a long time. You will find many feelings that you may not be able to even identify. This is going to be really strange at first, but try to embrace them. This was not meant to be easy, but it will get easier with time! KEEP INSPIRED. Sobriety is a learned skill; like any skill it takes time to be good at it. You may start really excited and then lose interest and get bored. You may struggle with your feelings, both mental and physical. You may hate life without alcohol, and miss all the things that make drinking “great!” You will want to quit and just go back to your old life! But DO NOT GIVE IN! Remind yourself of the last time you drank, or the scary incident you found yourself in while drinking, or a risky behavior you were engaged in due to your drinking! You don’t want to go back there again! I promise if you stay sober, things will get better and you will never have to feel that way again. I would love to hear from you, what was a crucial part of your early recovery?